Guess who has picked up her knitting needles again! With the weather getting cooler (downright chilly!) I'm working myself back into knitterly mood. Believe it or not, this guy is still only halfway finished! 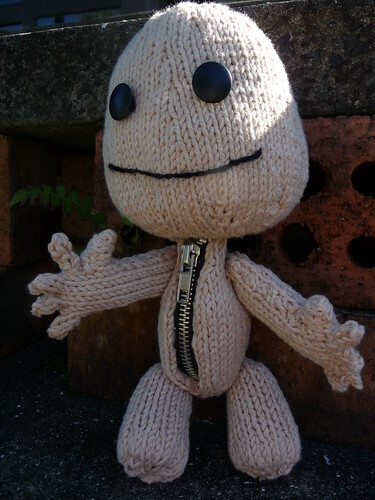 If you unzip him, can you see his internal organs?